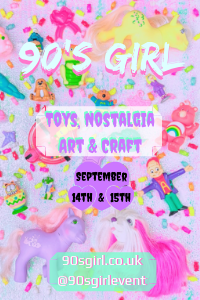 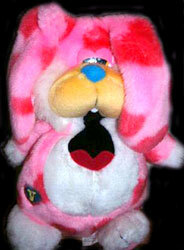 "We're an EARFUL of Fun!" 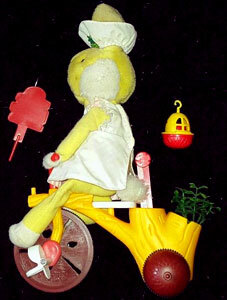 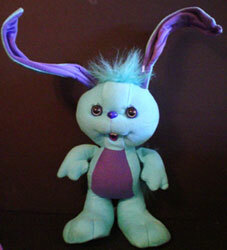 The Grabbits were produced by Kenner in 1989. 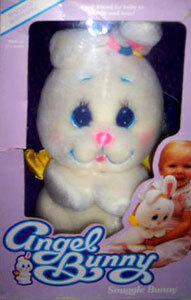 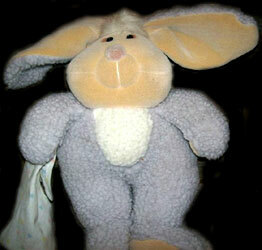 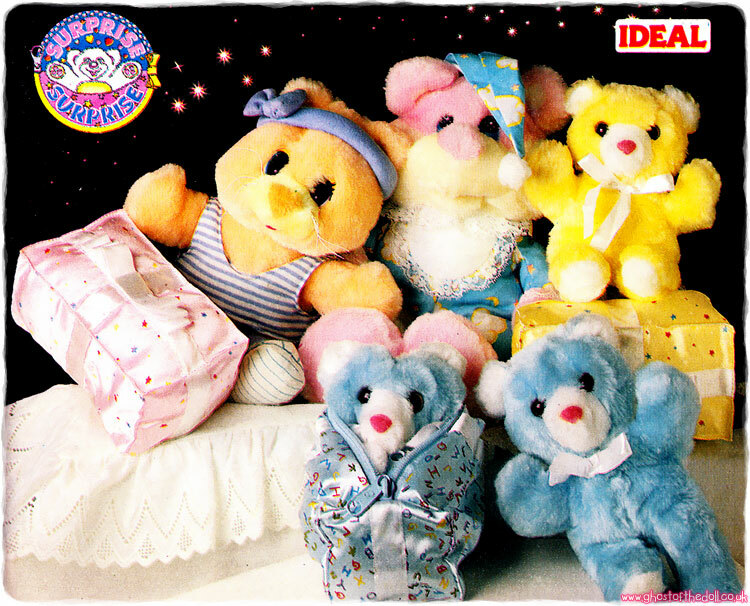 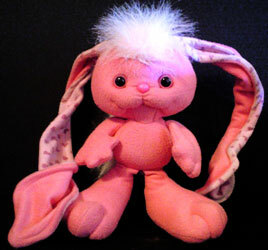 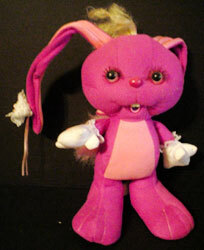 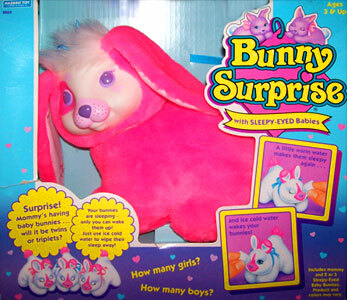 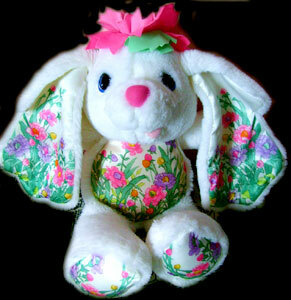 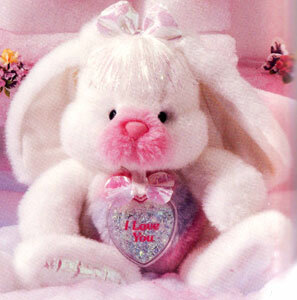 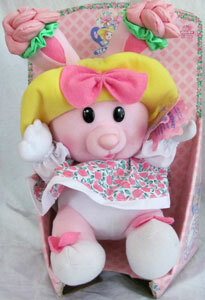 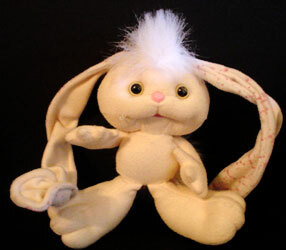 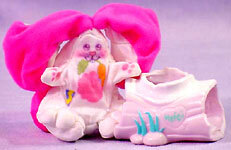 They were a series of plush and poseable rabbits with long bendable ears. 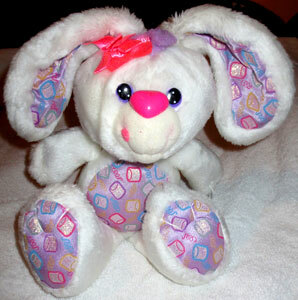 Images on this page thanks to Jana and eBay seller magramagra ! 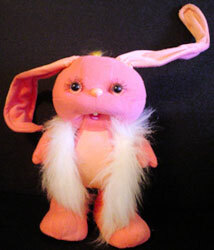 View all The Grabbits on eBay.com or eBay.co.uk ! 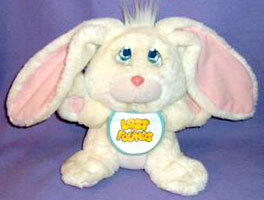 There were six adult plush Grabbits, each one had its own theme and came with two accessories. 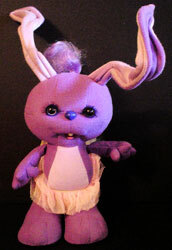 They were about 12 inches high with 14 inch poseable ears. 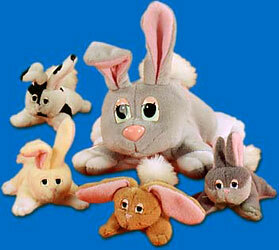 There were four plush Grabbits Babies and each one came with a bottle which fitted into their mouthes. 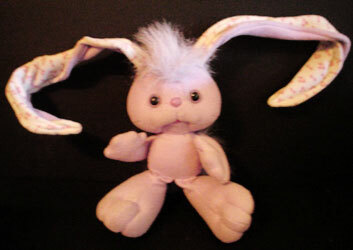 They were about 9 inches high with 14 inch poseable ears.